I've owned this accordion pleat skirt for awhile now, but pleats are suddenly everywhere right now! 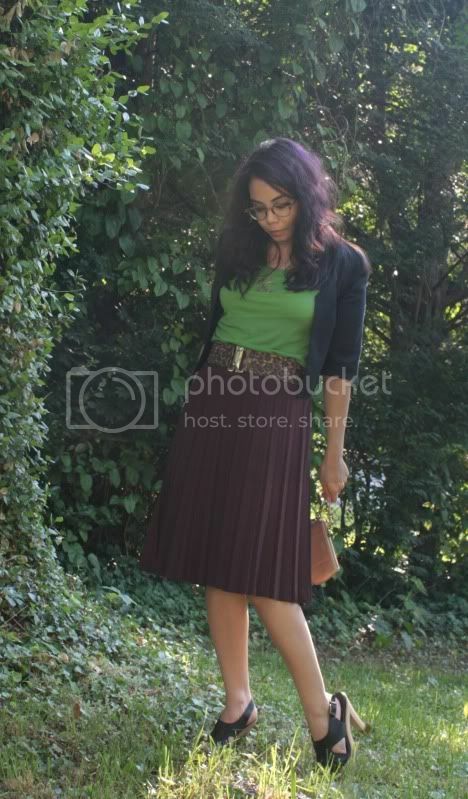 I do need to admit, I have worn this skirt with the same shirt to a fashion event and posted pictures, but I've never done a outfit shoot with the look so I decided why not!?! Purple and green is one of my favorite color combinations - they're one of those opposite of the color wheel combos! 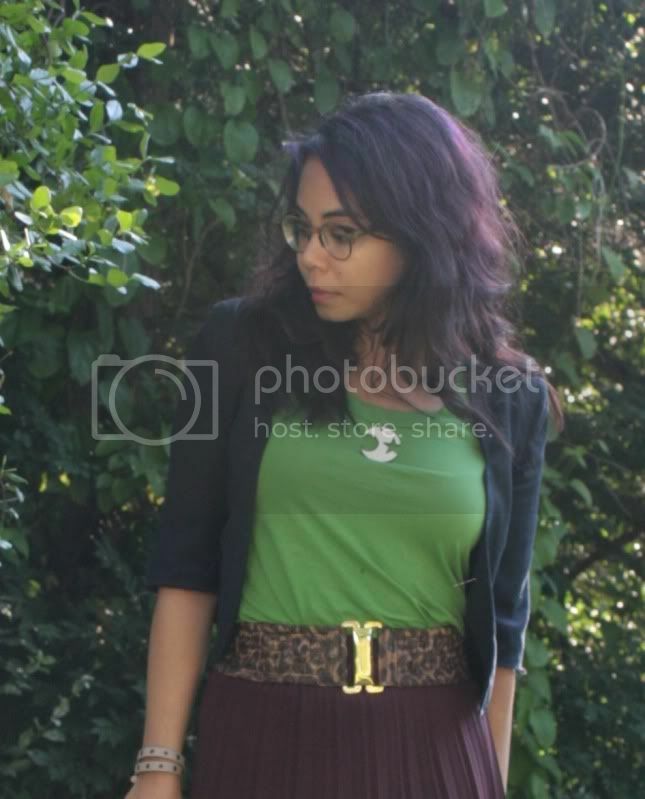 I'm wearing: Green tee from LOFT, pleated skirt from H&M, cropped blazer from ASOS, Betsey Johnson leopard print belt, Vampire Princess Miyu necklace from my super awesome friend Brandy, wrap bracelet from J. Crew, Coach wristlet from my friend Julie, Oliver Peoplse glasses, rings & shoes courtesy of Banana Republic. The movement of accordion pleats are so killer, everyone should own them! Tell me how pretty I look!!!! You do look pretty. I love your necklace. People think that statement necklaces means big in size, but sometimes the statement is in the necklace itself. The crescent moon and star shaped pendant brings a certain mystique. You've dared to be different and as a Style Blogger, I'd like to commend you on your accessory choice.